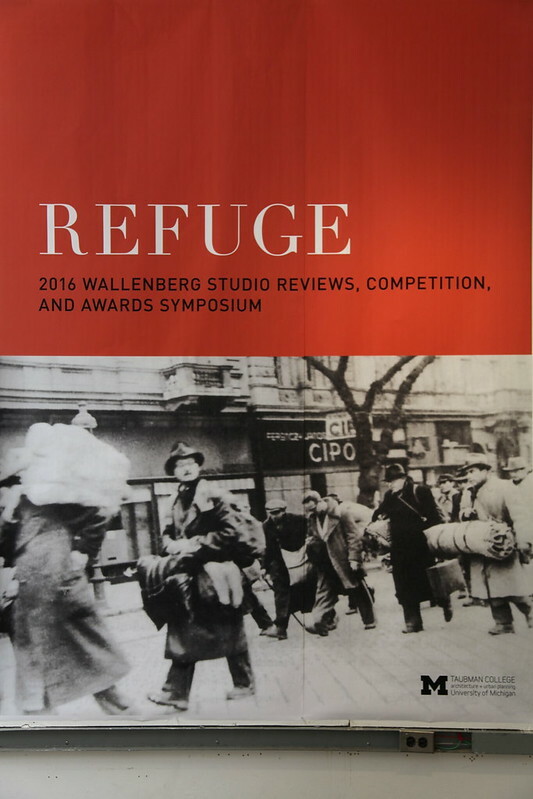 In efforts to preserve and build upon the ever-growing legacy of the University of Michigan’s celebrated architecture alumnus, Raoul Wallenberg, the eponymous scholarship is annually awarded to undergraduate students who live out the late Wallenberg’s humanitarian-focused influence– one characterized by empathetic intentions and cultural reform that are reflected in architectural innovation. The scholarship grants recipients the opportunity to expand upon their architecture studies by way of culture of their desired destination. This year, Taubman College's graduating undergraduate architecture students examined the various meanings and constructs of “participation” within the framework of our lives, societies, and living spaces. Eunsung Tiffany Cho for "Safe Travels." Anca Trandafirescu’s studio. Jamie Lutz for "De Fence." Neal Robinson’s studio.